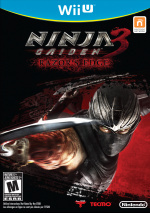 Ninja Gaiden 3: Razor's Edge may be making the leap over to other consoles but that doesn't mean Team Ninja has neglected bringing any new content to the Wii U version. A new update is available right now and can be downloaded automatically by simply booting up the game. It's free of charge and brings with it five new costumes to wear and 25 more ninja trails to play through. 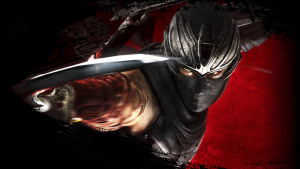 We felt the game was a decent addition to the Wii U catalogue as we pointed out in our Ninja Gaiden 3: Razor's Edge review, so this update comes as welcome news. What did you think to the game? Will you be downloading the update and playing through the trials? Let us know how you get on in the comments section below. Do we get Ryu in a tutu? There are only 4 new costumes. Excellent news, I was hoping we'd get this. well thats good, so this makes the wii u version the same as the upcoming ps3/360 version I take it. now give me the revolution map pack for blops 2 and I'll be happy. Cool. I'm about to undertake the final battle so the timing of this new content is good! I wouldve picked this up if it were available at launch. But now i'd much rather pick up Metal Gear Rising.....which i'm going to do! I love those new outfits! Shirtless Ryu hehe. I'm still enjoying this game. Really makes you feel like an awesome ninja. Are these the "extra trials" the other consoles are getting for beeing late ?